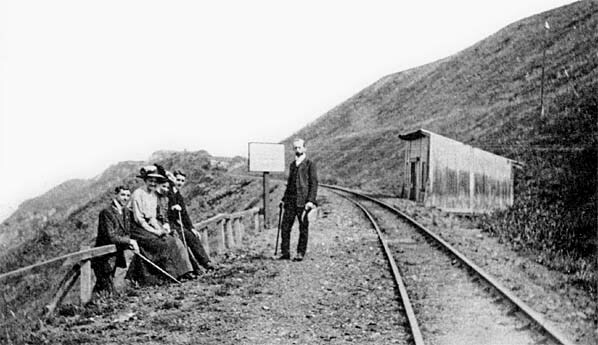 Notes: A very short lived halt for excursions for picnickers was opened at Gob-y-Deigan and was first used on 13th July 1887. There is no record of its last use. The halt was at a remote location with no road access. It was provided with a waiting shelter. 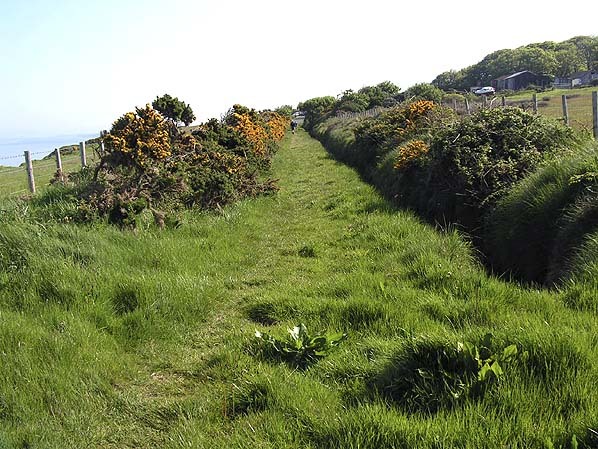 Looking north at the site of Gob-y_Deigan halt in May 2010. Originally a small hut had stood on the east side of the line. 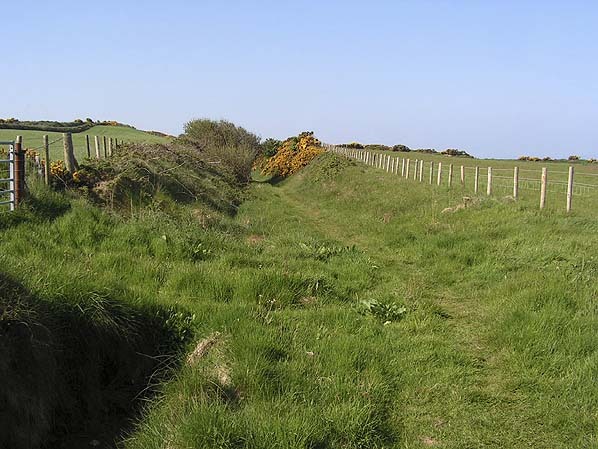 Looking south from the site of Gob-y-Diegan Halt in May 2010. 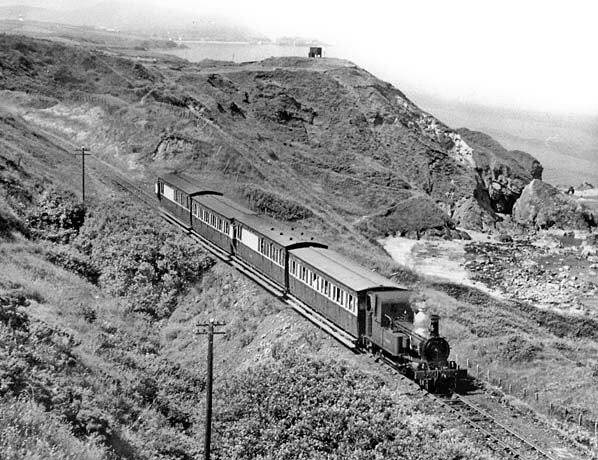 The location on the top of cliffs is highly scenic which is why a halt was opened at such a remote location.